Sure, water can be a creative medium (as in the watercolor illustration above), but it’s a destructive force in building structures. The pros at Carasso specialize in detecting and repairing unseen leaks from pipes, plumbing fixtures and fittings (not roofs). 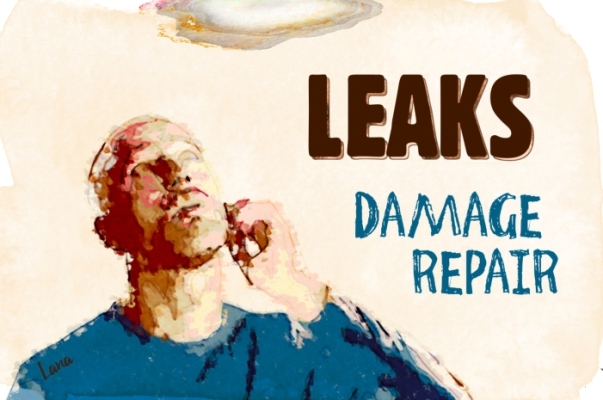 These hidden leaks lead to dangerous mold, dry rot, insulation damage, structural damage, and other forms of expensive property damage. Fact: Water leaks inside walls and ceilings that go unnoticed usually lead to higher repair costs and in some cases may require mold remediation to make the building safe again. Minimize the harm to your properties and budget. Make a plan to deal with visible drywall damage as soon as it’s detected. Call Bill or Dave for “like new” repairs and to ensure you don’t have hazardous, concealed threats.